A flood certification, sometimes simply called a flood cert in real estate, is a document that states the flood zone status of real property. Federal Emergency Management Agency (FEMA) flood maps are examined using the address or geographic coordinates of the property. A flood certification provider can then certify, based on the property's location on the map, whether it's situated in a flood zone. When a property is financed, the lender should have a resource to accomplish this task in purchases. The fee is then charged to the buyer in the 800 series items on the HUD-1 settlement statement. The lender is protecting its loan asset by verification of the risk of damage or loss by flooding. It doesn't necessarily preclude a loan if the property is at risk, but federal flood insurance would typically be required. FEMA flood maps are available online, as well as providers of online flood certifications. 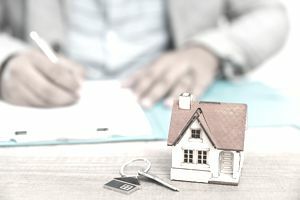 Generally, there's no problem with the issuing authority or company and the report, and this is fine when a lender is involved in the transaction. But in practice, you can run into a situation as a real estate agent where you must help your client contract for a flood certification yourself so he can list or sell his property. In one example, the real estate professional had a client who built spec houses which he would then list with the broker. Because one home was to be built on a parcel of land that was bordered by an arroyo, they needed to check into flood certification early on because it would impact construction. The builder/seller felt that he would rather take care of any flood issues in the construction phase so he could produce a home that would satisfy lenders. He had purchased the land with cash. The client and broker discussed the situation and decided to have the broker order a flood certification that could be taken to the county so he could get a building permit. This had to be done before construction could begin. Generally, only an address is necessary to get a flood certification from a certified company, but this was a newly subdivided piece of high desert land and there was no acceptable nearby address. The broker, therefore, contacted a surveyor to find out how a flood cert could be accomplished. The surveyor advised that the flood cert company would accept a set of GPS coordinates but only if they were determined via an approved method. The "approved method" was to get two GPS readings. One was required at a nearby mapped major intersection of streets or highways that could be referenced by the flood cert company. The other would be taken at the lot itself, and the company could then properly orient the property on the flood map. The broker took the readings, one standing in the middle of a busy highway and the other at the lot. The flood certification form was filled out and submitted. The certification came through quickly, stating that the lot was not in the 100-year floodplain. This should have been enough because it would be the form filed with the county to get the building permit issued. Unfortunately, the bureaucrat at the county was not in the mood to be customer-friendly. She stated, "I've paced off the distance of the proposed slab from the arroyo, and it is in the flood zone. I don't care what the flood certification says!" No, the whole project didn't fall through, but the client incurred an extra several thousand dollars in cost to elevate the slab of the property to accommodate being in a flood zone. The interesting thing is that when the home was finished and a buyer came along, their lender ordered a flood cert and the lot was not in a flood zone. Sometimes you just have to go with the bureaucratic flow.